This feature is currently for those who are on our V2 billing version. If you are wanting to pay annually, but are not seeing this option within your Hotjar account, check out our Paying Via Invoice/Bank Transfer article. Hotjar gives you the option to pay for your plans annually. 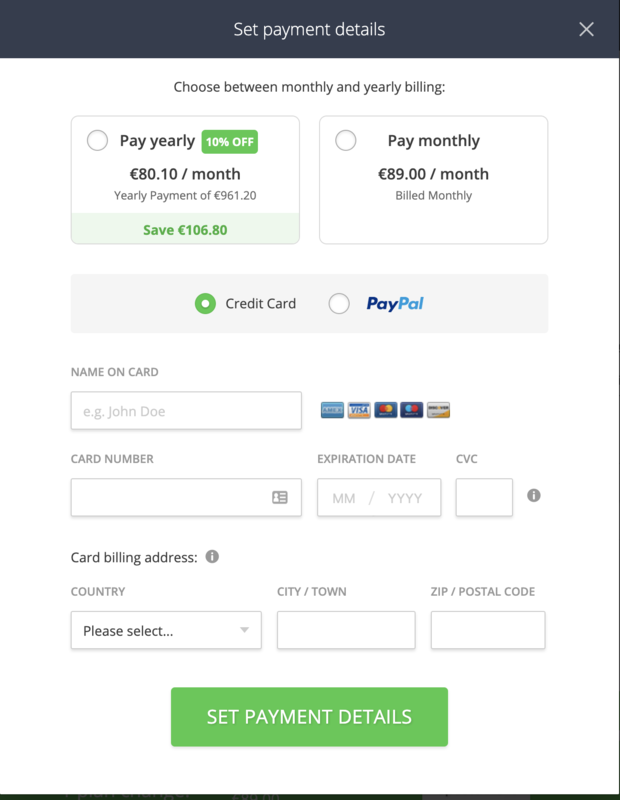 When annual payment is set up in app with a credit card or Paypal, a 10% discount prior to VAT is added to your bill. Go to Plans & Billing page. Choose the plan for your Site. You will be invoiced for a year immediately once the upgrade has gone through. If you are upgrading in the middle of a billing cycle, you will be billed at a pro-rata rate. Credit Card and Paypal payment can be made within the pop-up. At this time Invoice and Bank Transfer cannot be done in-app. Once you move to annual payment, you will not have the option to revert back to monthly payment until the year billing cycle is completed. Downgrading your account can be done from the Plans & Billing page within the Hotjar dashboard. You will continue to have access to your annual plan benefits until the end of the billing cycle. Information on downgrading in the middle of a billing cycle can be found within our Upgrade and Downgrade your Hotjar Plan article.